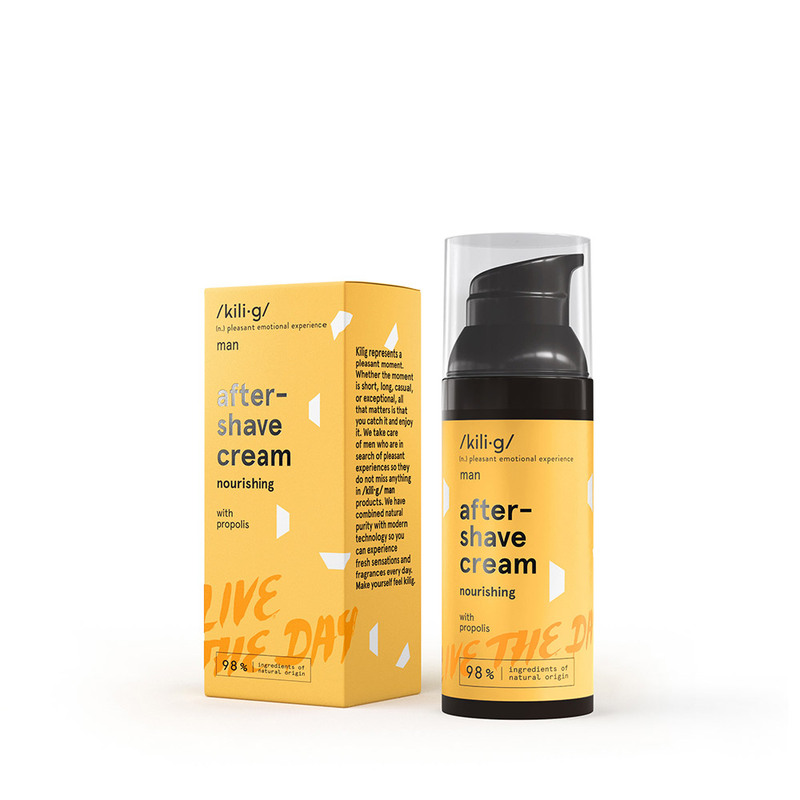 Face cream that gives a relaxing moment after shave for your sin. You will feel as though you are resting in a refreshing meadow surrounded by natural scents and the summer sky above you. We want to give your skin the ultimate moment of relaxation and relax it as much as possible after shaving. Irritated skin feels nourished after every shave. Dermatologist tested. Propolis extract – soothes the skin. Vitamin E – acts as a great antioxidant and moisturises the skin.